With a stay at SpringHill Suites Los Angeles Burbank/Downtown in Burbank, you'll be within a 10-minute drive of Los Angeles Zoo and Walt Disney Studios. 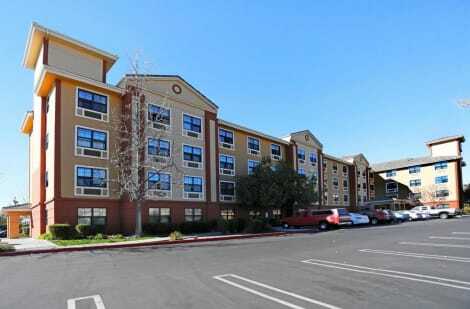 This hotel is 3.3 mi (5.4 km) from Warner Brothers Studio and 5.4 mi (8.6 km) from Universal CityWalk. Conveniently located for both business and leisure travelers, the newly renovated Holiday Inn® Burbank - Media Center is the largest Holiday Inn on the West Coast, located in the heart of beautiful downtown Burbank. 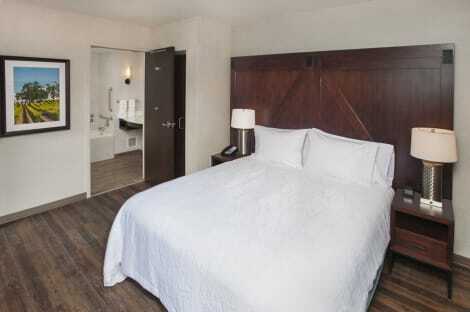 With 484 attractively appointed guest rooms and suites, our full service non-smoking hotel is nestled between I-5, within walking distance of terrific shopping and dining, and minutes from various attractions like Universal Studios Hollywood, Warner Brothers Studios, and Dodger Stadium. Hosting an event or wedding? We offer a variety of packages within our 16,000 plus square feet of event facilities to suit your needs and full service on-site catering. From weddings, wedding receptions, Celebration of Life events and corporate meeting, we offer a wide variety of choices. Enjoy our complimentary airport shuttle from Bob Hope Airport, grab a bite in our on-site eatery, The People's Choice Restaurant, catch live entertainment in our Casting Call Lounge, or take in the most breathtaking panoramic views in our Crystal View Lounge on the 18th floor. Our hotel has a little something for everyone and is the perfect launching point to explore everything that Los Angeles has to offer. Reserve your room today! Make yourself at home in one of the 50 air-conditioned rooms featuring refrigerators and microwaves. Your pillowtop bed comes with premium bedding. Complimentary wired and wireless Internet access keeps you connected, and cable programming provides entertainment. Private bathrooms with shower/tub combinations feature designer toiletries and hair dryers. Enjoy a meal at the restaurant, or stay in and take advantage of the hotel's room service (during limited hours). Quench your thirst with your favorite drink at the bar/lounge. Hilton Garden Inn Burbank Downtown is located conveniently off of US I-5 in historic downtown Burbank - "Media Capital of the World". Home to such names as Warner Brothers Entertainment, Disney, NBC and ABC Studios and Nickelodeon, Burbank remains the center of California's entertainment industry. 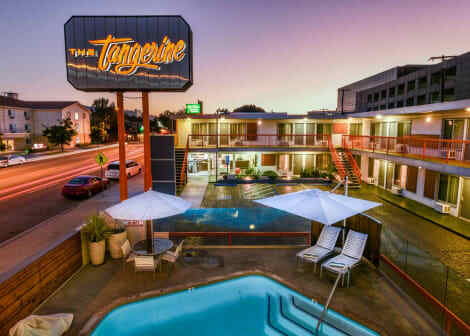 Our modern, luxurious hotel offers all the comforts of home and excitement of Hollywood and is desinged to meet the needs of the savvy business traveler as well as leisurely travelers in search of Southern California's electric nightlife, intriguing history or just a relaxing getaway. For your convenience, our hotel offers free access to a well-equipped fitness center, outdoor heated pool and spa, state-of-the-art business center and much, much more. Whatever the reason for your visit, our hotel is sure to provide a comfortable, productive and satisfying stay. Make yourself at home in one of the 31 individually decorated guestrooms, featuring refrigerators and LCD televisions. Your pillowtop bed comes with down comforters and premium bedding. Wired and wireless Internet access is complimentary, while iPod docking stations and satellite programming provide entertainment. Private bathrooms with shower/tub combinations feature complimentary toiletries and hair dryers. Featured amenities include a business center, express check-in, and express check-out. Planning an event in Burbank? This hotel has facilities measuring 46750 square feet (4343 square meters), including conference space. A roundtrip airport shuttle is complimentary (available on request). lastminute.com has a fantastic range of hotels in Burbank, with everything from cheap hotels to luxurious five star accommodation available. We like to live up to our last minute name so remember you can book any one of our excellent Burbank hotels up until midnight and stay the same night.